Would you like to see some of the winning group and miniature quilts from the Albuquerque Fiber Arts Fiesta? Great! I'll show you around. First place, Hahn's Peak Triptych, has a fused appliqué background overlaid with thread play detail. Commercial, painted and had dyed fabrics, yarn, and cheesecloth were incorporated in this original piece. Second Place went to Let Them Eat Cake! by Pat Drennan. The pattern is by Nancy Barrett. 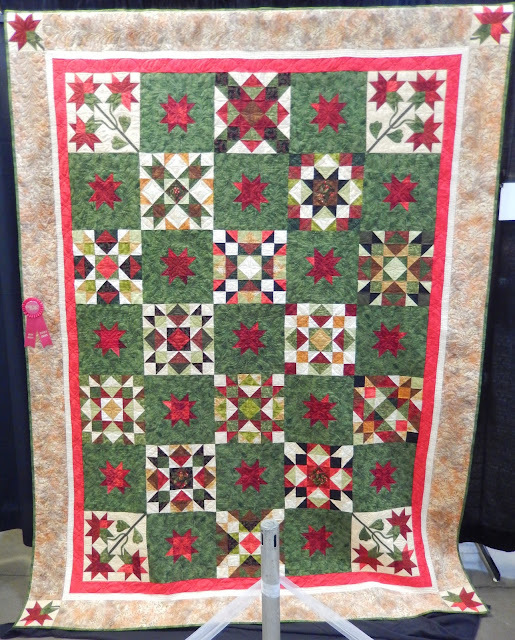 It was and appliquéd and long arm quilted. 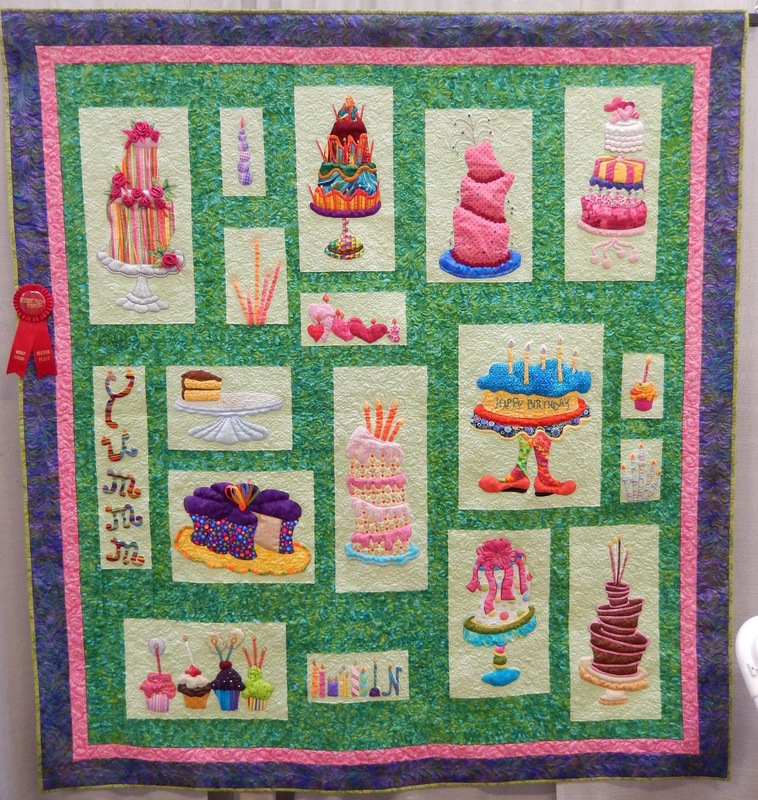 Judge's Choice was awarded to Happy Birthday!, a quilt made for Colleen Konetzni by her UFO friends. I adore the traditional Carolina Lily blocks. I love Let Them Eat Cake, and the miniatures are amazing.